Everyone says they want to eat healthier, but do you know how to do it? Do you know what types of food are your weakness? Do you know what types of food you really like that are actually healthy? Eating healthy is more than cutting back on fatty foods and eating less sugar. Being nutrition-conscious requires a lifestyle change that results in you changing a few habits. Here are a few steps to take when changing your eating habits to become healthier. Trying to tackle a major life change all at once is overwhelming and can lead to failure if not approached in the right manor. Like many things, to be successful, you should try to take it slow and make smaller changes that create building blocks to a successful evolution. By taking some of these small, less daunting steps before you take the big leap you have a better base in which to make the big change. How many times have you felt like you’re in a rut when it comes to your eating habits? You just “have the usual” or go for takeout. Do you really know what you’re eating? Taking the step to paying attention and understanding everything you’re eating is important to changing your habits. When was the last time you read a food label? If you start paying attention to ingredients and labels, you’ll be more conscious and aware of what you’re eating. Try keeping a food diary, where you write everything you eat. This will help you become aware of the amount of food you eat. As you begin this lifestyle change, make a plan and make it real. Start with buying fruit and taking it to work each day. Buy healthy cereal for a quick, nutritious breakfast, set a reminder on your calendar to hit the gym three times a week. Just saying that you’re going to do something often leads to little action and then you feel guilty because you haven’t met your goal. Writing a plan with details will help you accomplish your goals faster. If you want to change your eating habits, it helps to have someone in your corner helping you make good decisions. 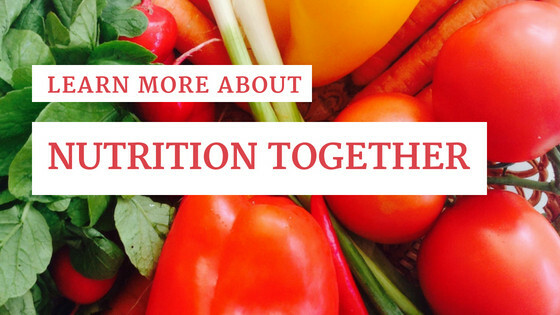 The Nutrition Together® program at your local Fitness Together® studio will show you how to make proper eating and lifestyle choices. Created by a registered dietitian specifically for Fitness Together® to compliment your fitness program. Topics will cover how to eat light, grocery shop and making the right choices when eating out. If you’re ready to have a nutritious 2016 and truly live a healthier lifestyle, contact Fitness Together® today. CLICK HERE TO GET STARTED!